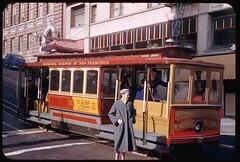 California St. Cable car stops at Grant Ave. San Francisco. 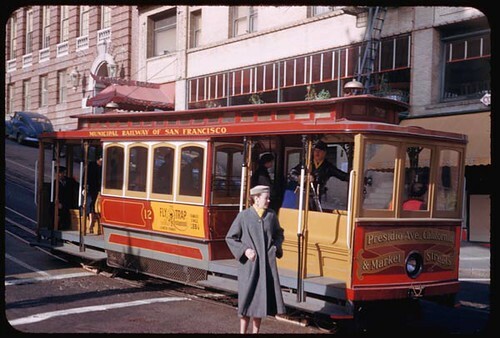 Description: Cable car stops at Cal. downbnd[? ].